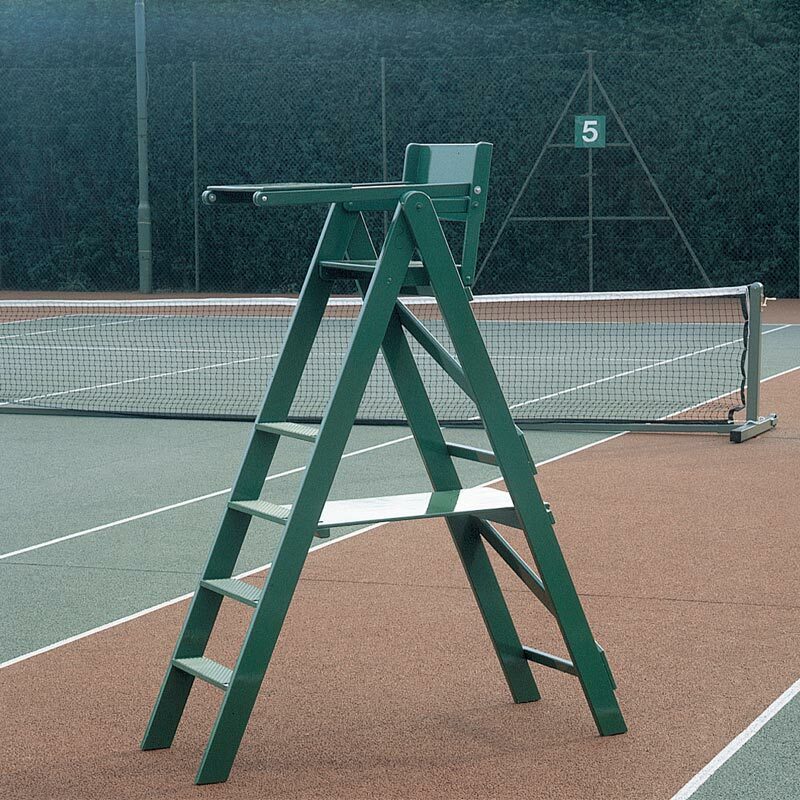 The Harrod Sport ® Wooden Tennis Umpires Chair is made from strong timber and is supplied with a desk. 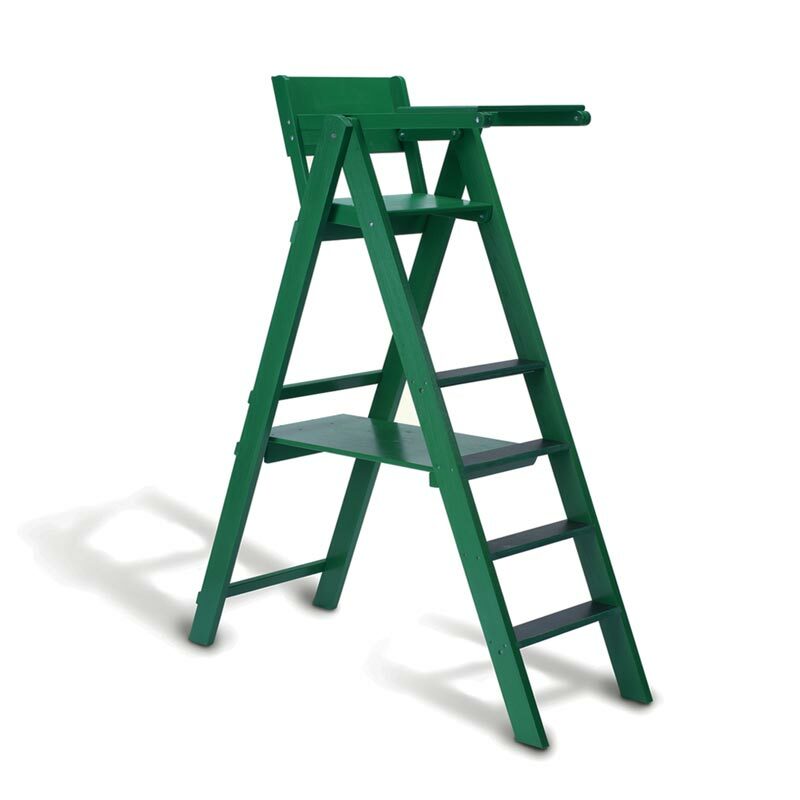 Complete with arm rests and four steps covered with anti-slip rubber tread. The seat stands 1.5m high to give a clear view.